The Argentinian was signed by Louis van Gaal in 2014 and spent one season at Manchester United. It was a hugely underwhelming one at that, however, with Di Maria scoring just four goals in 32 games across all competitions. The former Real Madrid man struggled under the rigidity of Van Gaal’s reign, and left United fans wondering where the world-class talent, which they thought they were getting, was. It was not through hard work that Di Maria failed – more a lack of quality and talent – making his ineffectiveness even more odd. The 30-year-old has revived his career in Paris the last four seasons, though, scoring 57 goals in 158 games and winning eight major French honours. The topic of his Manchester return was posed to team-mate Julian Draxler, who fielded questions before the European heavyweights’ last-16 clash in the Champions League tonight. “I was asking him some questions about Manchester United,” Draxler told reporters. “I won’t tell you what he said but he will be ready for tomorrow. “He’s a big player. He has a lot of respect for the club (United), there’s nothing terrible in what he said. 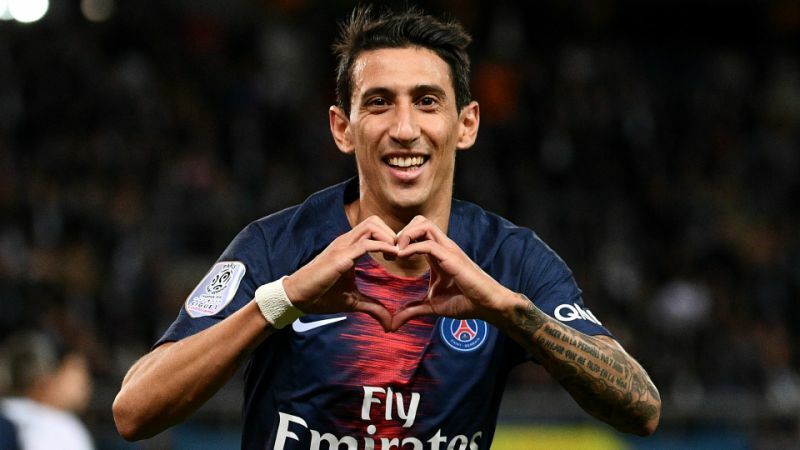 The spotlight on Di Maria is even brighter as PSG head into the game without star forward Neymar and Edinson Cavani, who are both out through injury. The winger loving his time at the French champions, though – a stark contrast to four seasons ago in Manchester. “I only stayed one year, it was not the best time of my career, or rather I was not allowed to spend my best time,” Di Maria cryptically told France Bleu.